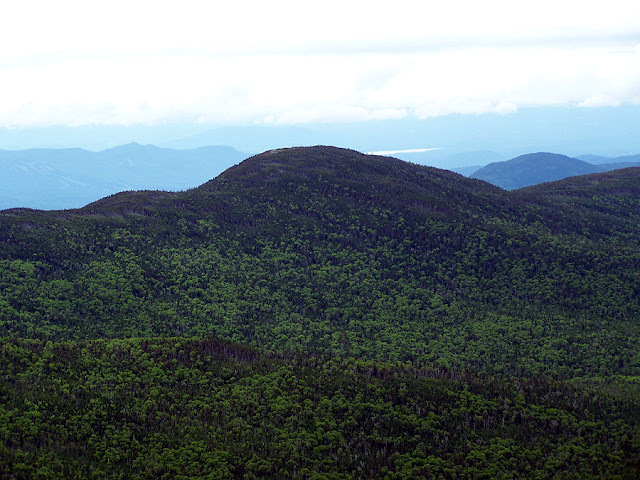 Mount Isolation is southeast of Mount Washington and is located in the Montalban Range. It has one of the longest approaches to the summit of any of the 4,000 footers but is well worth the hike as there are tremendous views down into the Dry River Wilderness up to the Southern Presidential Range from it's summit. The most common approach is hiking the Rocky Branch, Isolation, and Davis Path Trails. Water Crossings on the Rocky Branch Trail can become difficult to very dangerous after heavy rain. All trails are in the woods with no views but protected from the wind until one reaches Isolation's summit. Davis Path: 9.7 miles 4,100 feet. The Davis Path trailhead is located east of Crawford Notch off Route 302. It has moderate grades with good footing until Stairs Mountain. From here until the Mount Davis Spur the trail is lightly used and footing becomes rougher and the trail can be a muddy mess at times. Past the Mount Davis Spur until the Isolation Spur the trail sees much more use but still has sub-par footing. Rocky Branch Trail / Engine Hill Bushwhack / Isolation Trail / Iso/Davis Bushwhack / Davis Path: 6.5 miles 3,400 feet. The standard winter route is very easy if broken out! It has easy to moderate grades with good footing protected from much of the wind. The highlight of the hike is the Engine Hill Bushwhack which travels through beautiful birch glades. If the Engine Hill Bushwhack is broken out correctly it comes out on the Isolation Trail just before the last major water crossing.